Colorful vector illustration of various plants and animals. Bright colors spring designs with blooming flowers, tree branches and silhouettes of colorful pigeons with long tails decorated with waving lines. 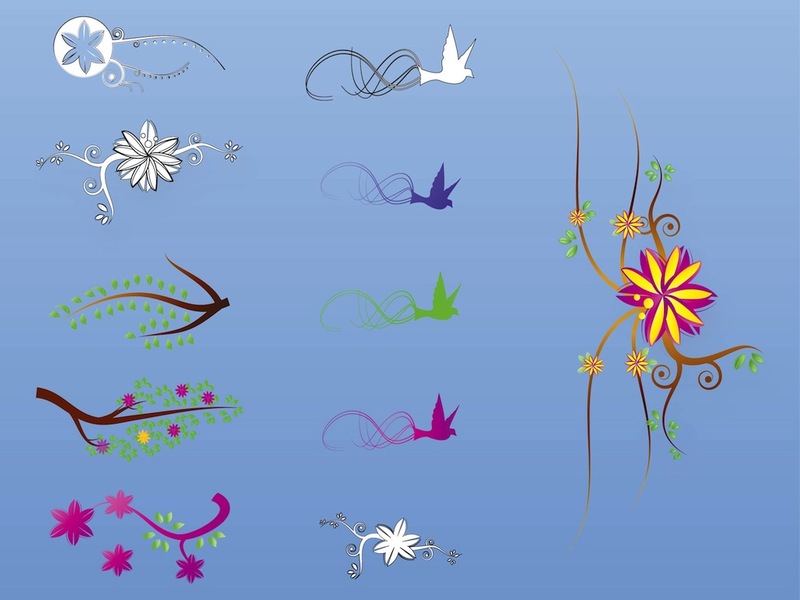 Free vector graphics for all kinds of nature, forest, garden, spring, plants and birds projects. Tags: Animals, Birds, Branches, Decorations, Doves, Flowers, Plants, Trees.